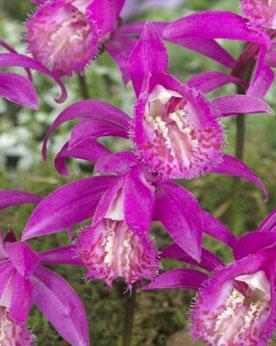 Known as the Windowsill Orchid. 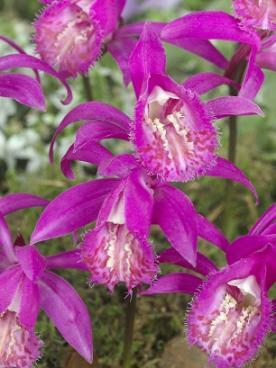 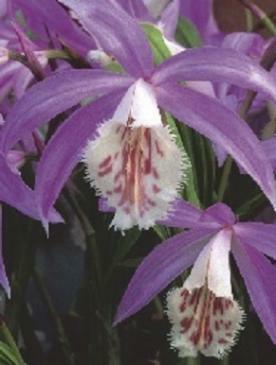 Each Pleione bulb bears a single lance shaped leaf and solitary lilac pink flower. 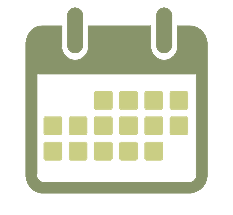 8cm in width.